Selecting Whole-Class Learning Solutions Made Easy! 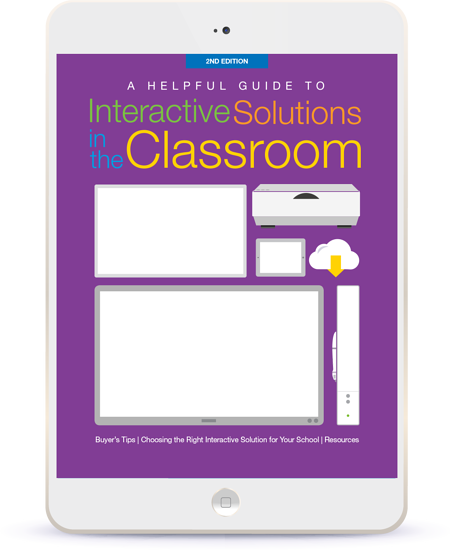 As you strive to find ways to better engage students and motivate learning, using interactive technology in the classroom is key. But the search for the right interactive solution—one that offers clear images, touch technology, collaborative abilities, seamless integration, and fits your budget—can be daunting. How do you dig through all the jargon and hype to find the right solution for your curriculum, teachers, students, and budget? Download our guide to discover the key factors for selecting the right front-of-classroom and student technology. Top 8 factors to consider when selecting new tech. Pros and cons for each interactive solution. An infographic detailing the display/interactive size to cost. Resources for lessons, training, and more. Simply fill out the form and download your free guide today! Learn more about all our products at mimio.boxlight.com.